1. 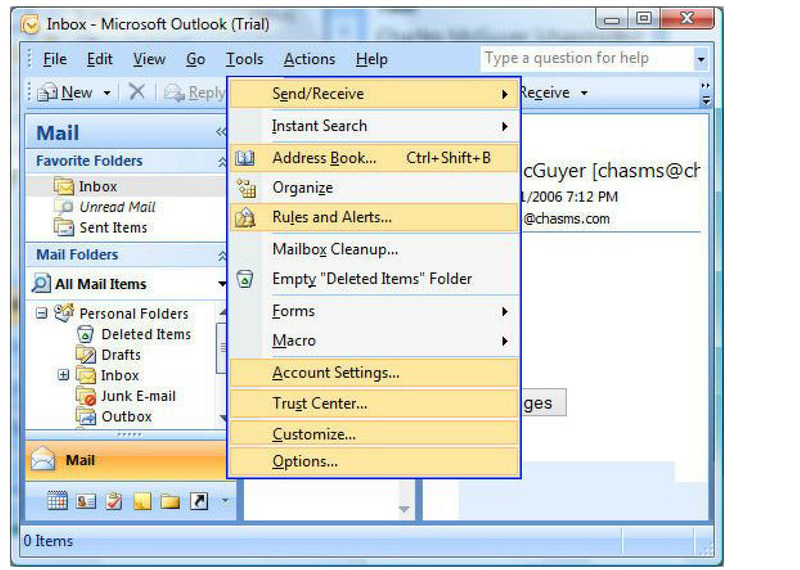 From Microsoft Outlook 2007, select the Tools menu and select Accounts. Note: If not visible, the accounts menu may be hidden. To un­hide it, click on the small downward arrow at the bottom of the Tools menu to reveal hidden menu options. 2. 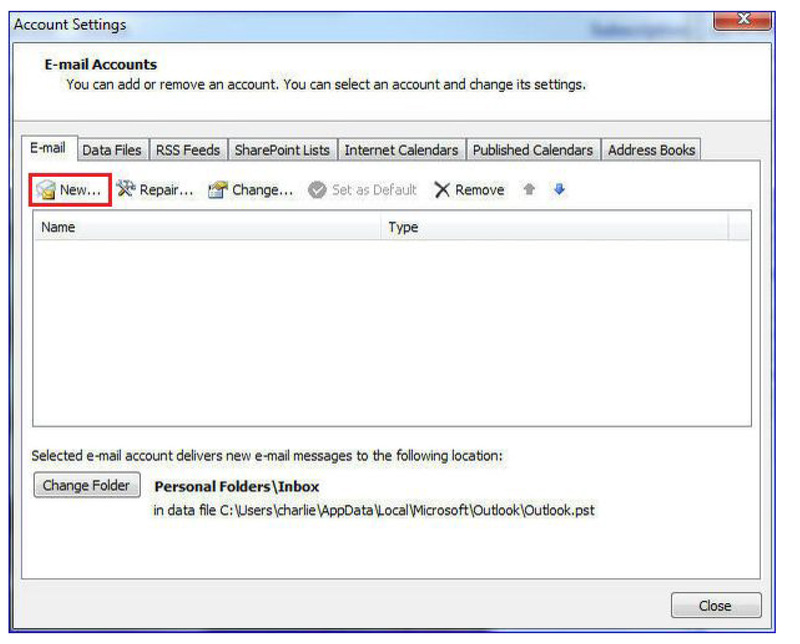 On the Account Settings page, the E­mail tab at the top should already be highlighted. 3. Select the Manually configure server settings or additional server types option and click Next. 4. 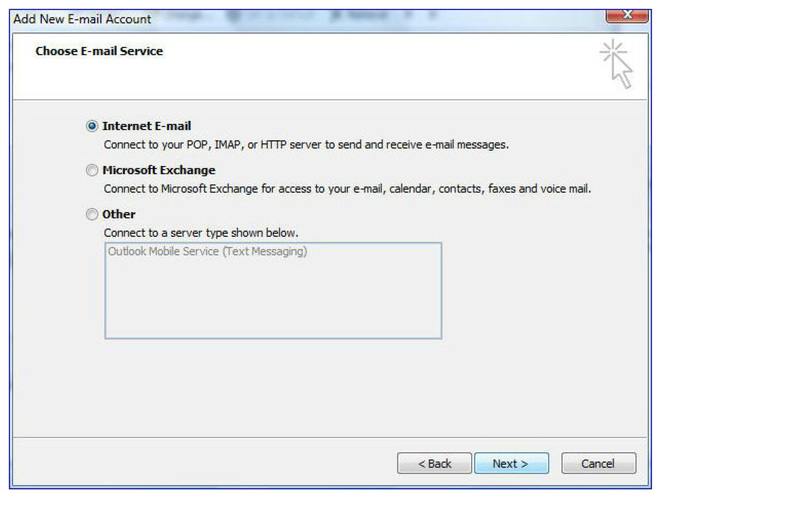 On the Choose E­mail Service page, select the first option for Internet E­mail and click Next. NOTE: Do not enter your username only. 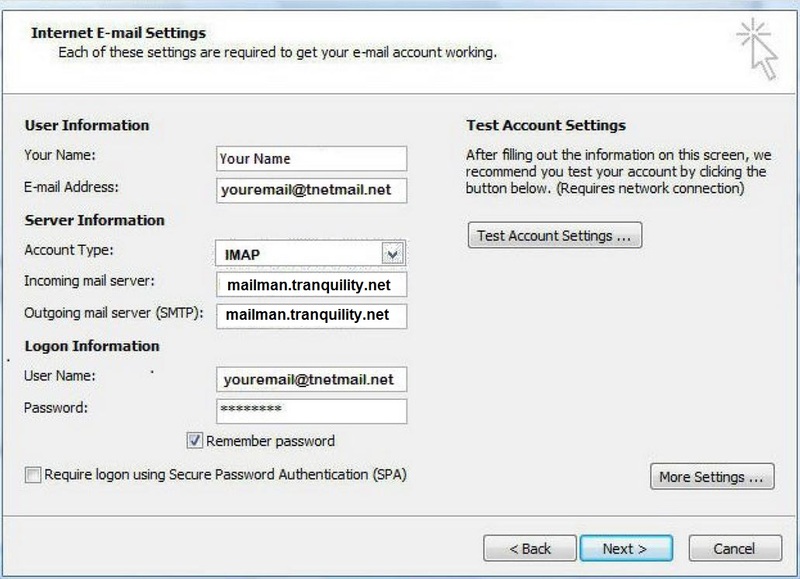 A full email address is required to access the mail servers. Set the IMAP port to 993. Set the SMTP port to 587. 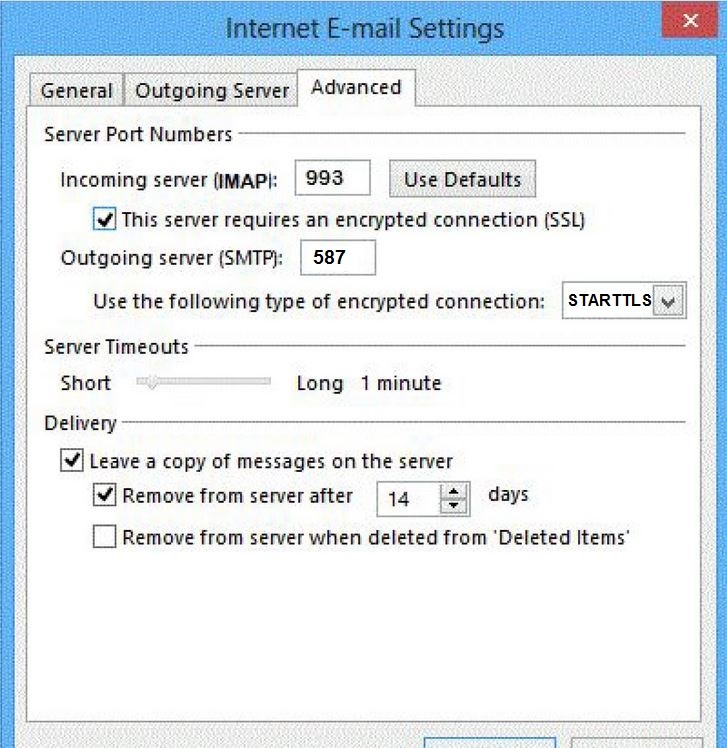 The main email accounts setting window appears. 7. Click Finish to complete the IMAP account set up.